Prospective home buyers often need a mortgage to finance the purchase of a property. While a lender can give you an overview of the loan’s financing terms, you should also understand their legal implications. At Pulgini & Norton, our real estate attorneys can explain the terms of your mortgage. Our lawyers offer seasoned counseling to borrowers in Boston and the surrounding towns, and we can help you understand your paperwork. The deed, which conveys ownership of the property from the seller to you. These documents establish your relationship with the lender and its security interest in your property. Before you agree to a mortgage, it is important that you understand its financial and legal consequences. Many borrowers will seek loan pre-qualification to get a sense of how much property they can afford, but this does not guarantee that the lender will ultimately approve a mortgage in the pre-qualified amount. Once you enter into a purchase and sale agreement with the seller, you will have a certain amount of time to secure financing under the agreement’s mortgage contingency clause. The lender will review your financial information, appraise the property, and conduct a title search to determine how much it is willing to loan you and on what terms. The terms of your mortgage will require that you repay the principal amount plus interest on a monthly basis over the life of the loan. Your payments may also include insurance coverage, taxes, and private mortgage insurance (or PMI) if your down payment is less than 20 percent. Some agreements allow a lender to take action if you drop your insurance coverage, for example. The interest rate on the loan may be either fixed or adjustable. A fixed interest rate will not change over the life of the loan. An adjustable interest rate, however, is likely to start off small and then increase over time. In other words, your monthly payment may rise at various points during the term of the loan. This could affect your ability to make your payments in the long term. The terms of your financing may include a prepayment penalty or a balloon payment clause. A prepayment penalty may apply if you pay off your mortgage within a certain period of time. A balloon payment is usually a substantial lump sum amount due when your loan matures. Massachusetts bans excessive prepayment penalties and balloon payments, but they can still affect how and when you may be able to pay off a loan or your ability to refinance. If you are a first-time home buyer, you may qualify for certain state or federal mortgage products. These products include the One Mortgage Program and the MassHousing Mortgage. 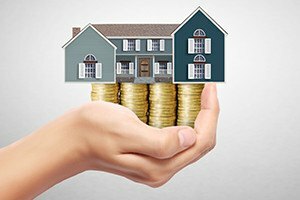 You would need to meet certain income requirements to qualify for these types of mortgages, which generally allow for lower down payments and interest rates. The property transaction lawyers at Pulgini & Norton advise borrowers on the financing of homes throughout the Boston region. If you are in the market for a mortgage, we can help you go over your financing options and discuss the legal implications of the terms of a loan. We can identify any potential issues before you sign any financing documents. We offer comprehensive legal representation to home buyers, sellers, and lenders in Weymouth, Waltham, Andover, and beyond. Call us today at 781-843-2200 to schedule a consultation. You can also complete our online form.